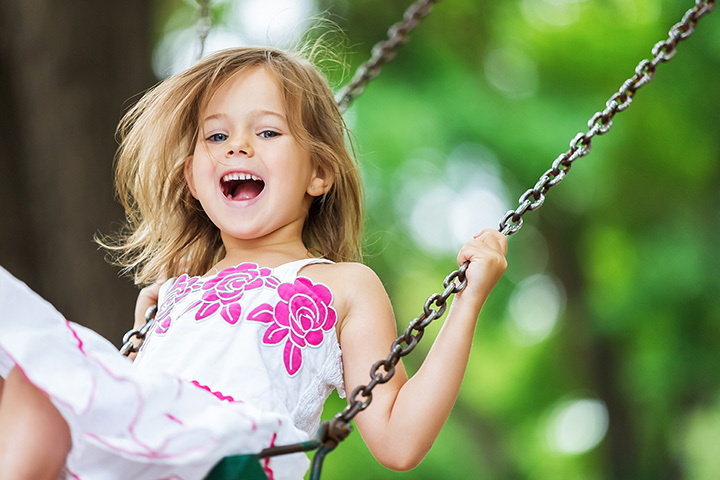 With its temperate weather and beautiful natural spaces, it’s almost always a good time to bring your little one to the playground in California. From Manhattan Beach to San Francisco, there are an abundance of playscapes for your child to burn off some energy. Here are the 10 best in the state! Named after one of America’s iconic rapscallions, Dennis the Menace Playground in Monterey’s El Estero Park Complex sets a high bar for childhood fun. First opened in the 1950s by Mr. Hank Ketchum, creator of the Dennis the Menace comic strip, the park was recently renovated and updated. Check out the slides, bridges, and other attractions that make the playground a favorite for generations. The castles and dragons themed Magic Mountain Playground is just one exciting feature of the Coyote Point Rec area. A castle shaped climbing structure is at the center of slides, bridges and even a moat! Polliwog Park is recognized as one of the best spots to plan a kids’ party. Even if you aren’t celebrating a milestone occasion, Polliwog offers tons for kids to do with multiple slides, playgrounds, misters, climbing and other exciting nooks for kids to discover and explore. Adventure Playground in Berkeley is going on 39 years of keeping tykes entertained and is frequently cited as one of the best playgrounds in the Bay Area, including by National Geographic. Not your typical playground, it’s designed for kids 7 and older and includes creations by kids. Check the website for the specific guidelines and rules for enjoying the adventure. The Virginia-McGee Totland is playground parasdise for young visitors. Soft turf, a clubhouse, a playground for kids of all ages, slides, climbing structures and more make it a great place to stop in or to sign your kids up for camp. The Rotary PlayGarden opened to allow kids with special needs to play with their peers more easily. Although the water feature is currently closed, the kid-centric playground and center offers plenty of paths and activities for little ones to enjoy learning and making new friends. Located in a corner of Golden Gate Park, Koret Playground & Carousel may just be the oldest playground in the nation. Originally opened in 1888 as the Sharon Quarters for Children, you’ll find plenty of insight into history as well as newer updates like a climbing wall and other modern features. The Magical Bridge Foundation began as an inclusive playground in Palo Alto where kids of all abilities and ages could play together. Since then the foundation has expanded to create other playgrounds but the original effort remains and is committed to creating swings, slides and other playground equipment that can be enjoyed by all kids. Hardy Playground is one of two playgrounds located in Frog Park in North Oakland. Hardy is built for older kids, ages 5-12, although you can find spaces for tots. At the other end of Frog Park is Redondo Park, designed for younger kids. The playgrounds are the results of community fundraising to help the parks grow with kids of all ages. Shane’s Inspiration is a welcoming playground for kids with and without disabilities that allows kids of all ages to play together without exclusion. Located in Griffith Park, the playground has special features that give all the kids the opportunity to learn how to play with others. Shane’s Inspiration is the result of community efforts and charitable houses that help kids grow.